Can you post a pic of your set up ? 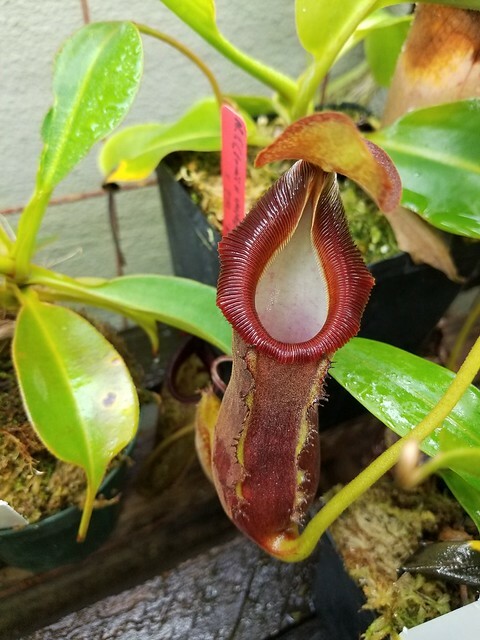 Your plants look very nice. Thanks! Nice Glabrata you have there. I don't have a picture of my setup currently but I can get one soon. It's kind of like a shed with a window and I have added lights, humidifier and heaters. Currently the daily high temperatures are in the low 70s. 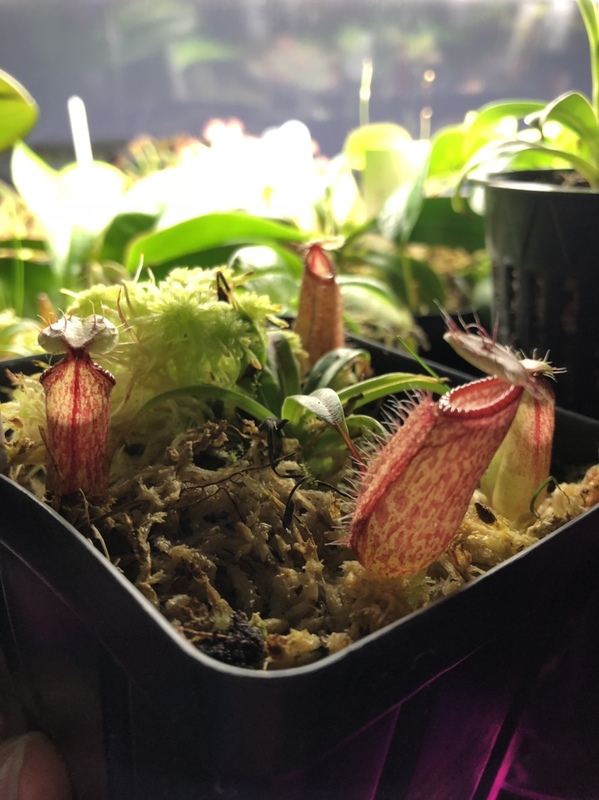 Some of my more intermediate plants have slowed down a bit and pitchers have died off. Here are a few others! 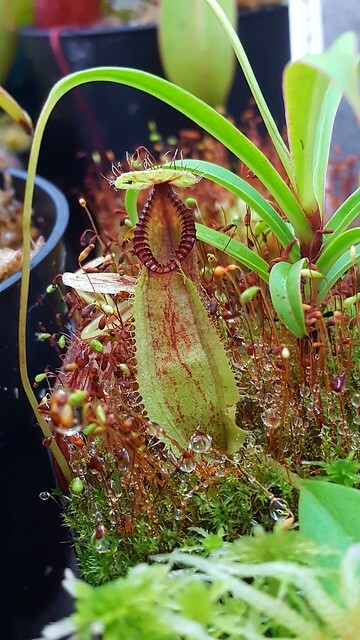 N. Platychila x Vogellii from Christian Klein. Recently repotted. Last edited by zcons; 11-27-2018 at 11:52 AM. Very nice 'Predator', I'm jealous for sure. It's not so easy to find anymore. They all look nicely grown, I see a few weeds in there that will spread like mad! 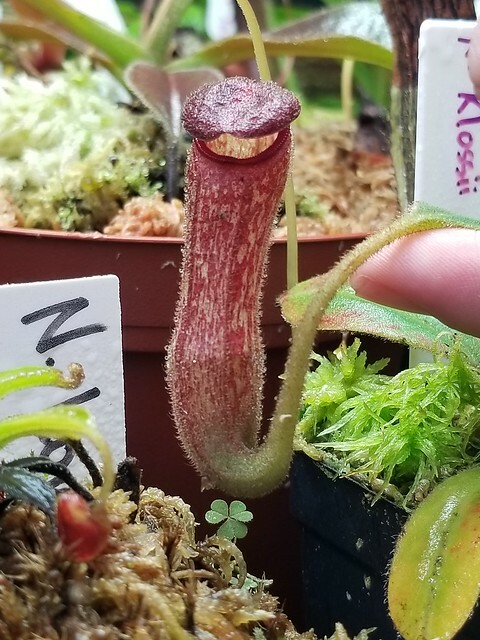 I received some Neps with the weed shows directly below the N. Klossii, they spread quickly and their seeds shoot out and spread like crazy as well. 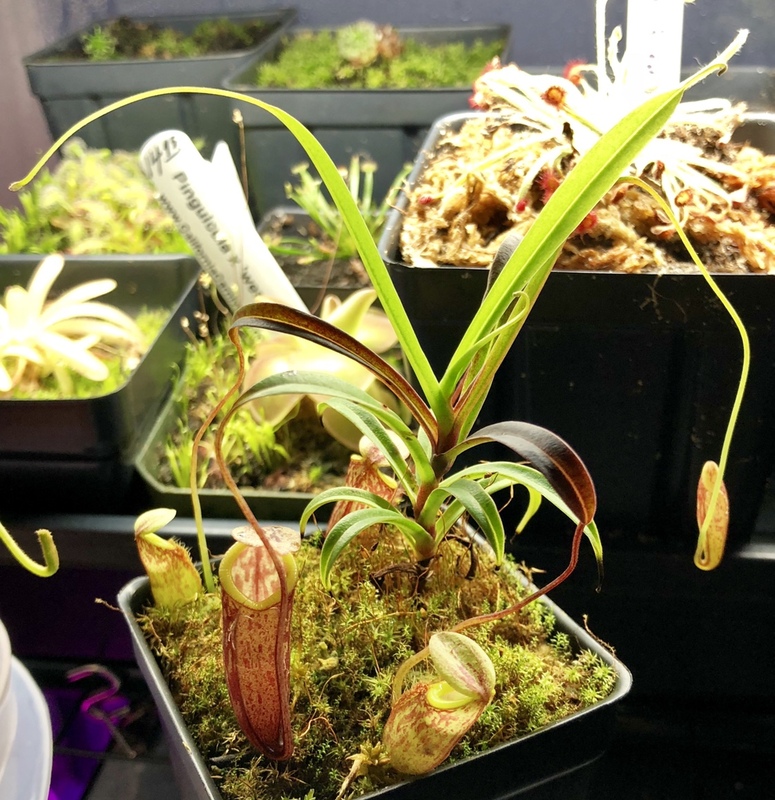 The root systems can become quite intense and I completely repotted a Nepenthes they gave me that was potted and just bout the whole 3" pot was roots of that plant and none really of the Nepenthes. Interesting! I haven't given too much thought to the weeds. Occasionally I will try to pluck them out, but a never wanted to uproot them in case I accidentally harm my plants in the process. Do you think that they can be harmful if left for too long? I am particularly worried about a case on my N. Attenboroughii. Also, would this be a similar issue with the ferns? 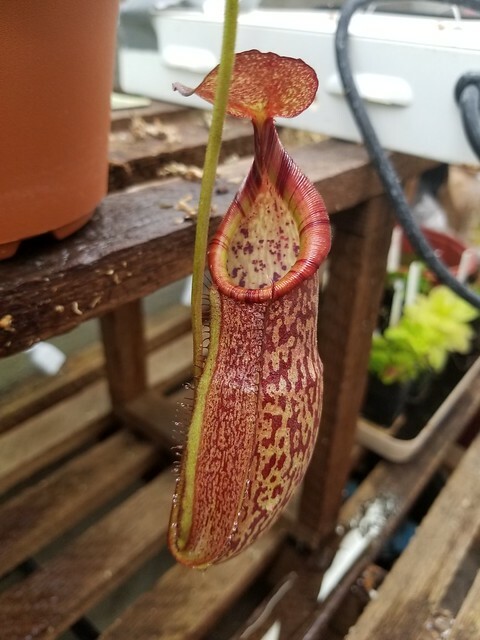 They were present in the pot I got from NE last year. 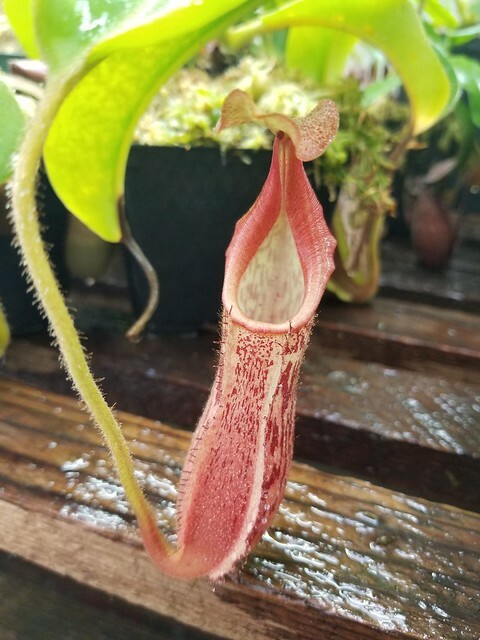 Very nice looking plants. You should take a few pictures of your overall grow setup. 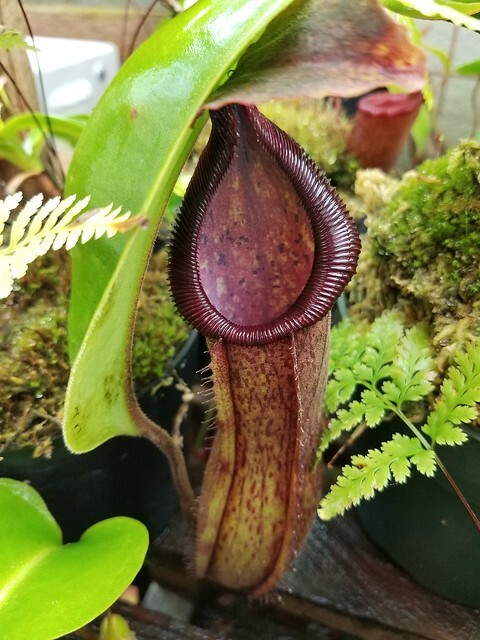 I don't know if it could cause a problem long term, but the one Nepenthes I received that had that plant well established in there had a TON of roots. The roots are very similar to bermuda grass where it sends out a runner and then a new plant pops up. 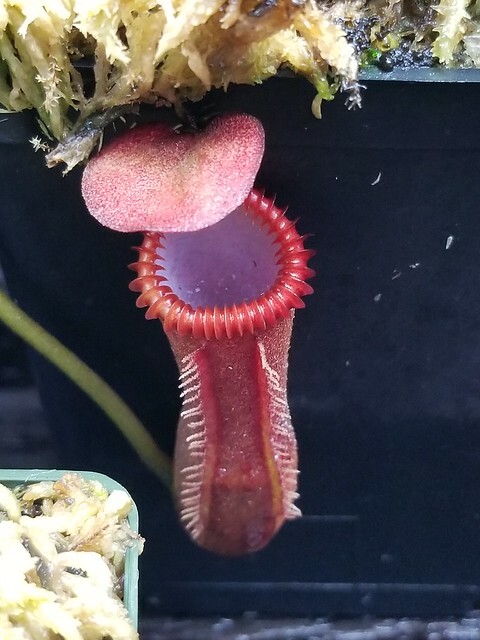 It was growing out of the drainage holes and everything. As far as the fern goes, some (maybe all I'm not actually sure) spread by spore... So those can get all over in no time, I can't say I've ever really seen a root system on the ones I've removed though, but I could see where that could shade seedlings or something and cause a problem. Some of a fern came with those Neps as well, I bagged up a pot of it and refuse to open it. LOL Maybe I'll get a photo of it for you. Edit: Looks like I finally got rid of the bag of fern. 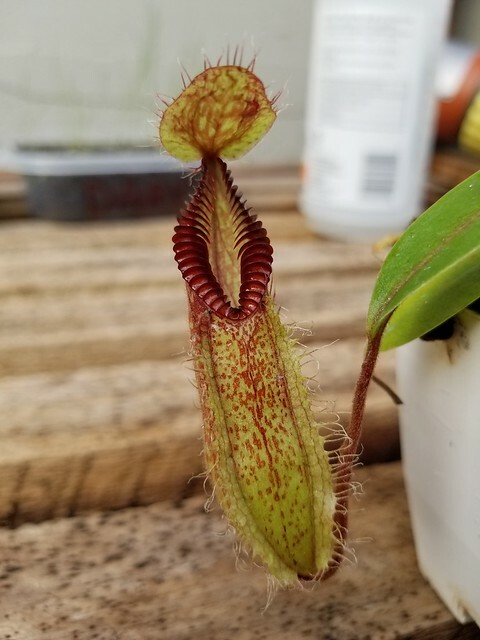 A quick little before and after progress post of N. Hamata. I believe this is the Wistuba clone 1, but I received it from a separate vendor. The pictures are 7 months apart.